"Tidepool Plaza at Birch Aquarium" Licensed via Wikimedia Commons. Smaller and more intimate than other aquariums, the Birch Aquarium is one place where you can get close to all of the animals, and still take your time to simply enjoy being there. Due to its intimacy, adults and children alike are energized by the aquarium. You can watch an octopus flow up and down the glass, or watch a jellyfish move slowly through the water. This is an excellent thrill, for everyone in your family. The most popular exhibit at the Birch Aquarium is the seahorse exhibit. It offers many different species, from the tiny miniature seahorses that are under an inch tall, to the taller and more amazing sea dragons. The many interactive exhibits at the aquarium will help you learn the history of oceanography. By taking a simulated trip in a deepwater submersible, you'll learn the wonders and oddities of the deep ocean, even though it may move a bit too slow for smaller children. Children of all ages enjoy the exhibits that illustrate how the ocean products appear in everyday items. If you are planning to take pictures of the exhibits, be aware of the glass and the reflections. If you can, move in close (around a foot away) and set your flash to a 45-degree angle. Make sure that you don't get too wrapped up in taking photo's inside the aquarium - as you may end up missing the show going on outside. If you are visiting La Jolla as a vacation or if you live there, the Birch Aquarium is worth a visit. There are some amazing exhibits here, with something for everyone. You can spend hours and hours here, making it one place you shouldn't hesitate to check out. The great aquarium of the Pacific is located in one of the cities of California – the Long Beach. It is considered one of the biggest aquariums in the entire United States. It has an estimated 1,000 species, 19 main habitats and about 32 focus exhibits. When you visit Long Beach and witness the aquarium, it is as if you are in the three regions of the Pacific Ocean at the same time. These regions are the Southern California or the Baja, Northern Pacific and the Tropical Pacific. The Long Beach aquarium has a height of 156,735 ft. It has a sweeping, wave-like and curving architecture which is intended to imitate the ocean. It has more than 12,000 marine animals with the inclusion of five classes of whales, dolphins, rays, eleven classes of sharks, and skates such as the manta rays, birds, sea turtles, bears, and over 10,000 mussels. It also has natural exhibit accessories and more than 10,000 individual and artificial coral which represent 58 different species of coral. The aquarium itself gives the scene trips where anyone can dive into the world of the underwater and witness the virgin places in this Aquarium and feed some of the animals. All of the visitors in the Aquarium are encouraged to witness animal feedings and also learn everything about animals and some of the environmental issues presented in a habitat showcase. The Long Beach Aquarium can be found at 100 Aquarium Way, Long Beach City, California. It is easy to get there when you have a car you can just park it on the Shoreline Drive located in between Aquarium Way and Chestnut Palace. The parking fee in the Aquarium is only $6 especially if you present a stub of the Aquarium ticket. Visiting the Aquarium will provide total fun since you can make the trip by taking the Aquabus, a harbor shuttle which connects the Catalina Express, Catalina Landing and the Coastal Hotel. The Long Beach Aquarium is open every day except on Christmas Day. The Aquarium is a great destination for a weekend escapade. So, never hesitate to experience the wonders and beauty of marine life in the Long Beach Aquarium. Boston is the capital of Massachusetts, U.S.A. and the largest city in New England. It has been described as “a state of mind almost entirely surrounded by water”, this is because almost all parts of Boston is water. A society has also risen from Boston. A specific society that was founded in 1916 is called Boston Aquarium Society. It is the longest running and the second oldest aquarium club in the entire planet today. The Boston Aquarium Society is focused more on the interests and knowledge that can be taken from the activities made especially for the members of the society. If you want to be a member of the Boston Aquarium Society, you need to stay in this particular society for a long period of time. The society will encourage you to stay longer so you will go out full of knowledge and new ideas. The society has many activities like plant and fish growing projects which allow placing an aquarium in most of the classrooms. If you are an aquarium hobbyist, you will truly enjoy the affordable activities of the Boston Aquarium Society. A Red Lionfish (Pterois volitans) at the New England Aquarium. In Boston Aquarium Society, every member is involved in all the activities and all aspect in growing marine plants and breeding fishes in many ponds. Some members are even members of many associations related to the preservation of marine life. Some members also write about the Boston Aquarium Society in national magazines and newspapers. Aside from being a part of some organizations, Boston Aquarium Society is also a member of The Northeast Council of Aquarium Societies. Boston Aquarium Society is also focused on giving advanced knowledge to all the members. The members are allowed to donate any type of fish breed, plants, time and knowledge to the society. The society uses these particular donations for the students that visit the place for the educational tour. This will encourage more kids to make some of the activities in the Boston Aquarium Society as a hobby. They also build programs, seminar and workshops with highly respected and well-educated speaker that can teach you plenty of new ways to improve your knowledge about fishes and other marine creatures. They are more than willing to share their knowledge by giving the members the knowledge they need to learn. So if you want to improve your knowledge about fishes and other aquatic creatures, be a member of the Boston Aquarium Society. The information you need is just within your reach. "Newport Aquarium". Licensed under CC BY 2.0 via Wikimedia Commons. If you are planning to spend at least a day of vacation with your kids or with your friends, places that will pop out of your mind are the amusement parks, zoos, and ecological sites. Doing a picnic is much better if done in parks or somewhere close to nature. For sure you will be looking for an ambiance that is relaxing and something psychologically therapeutic. In the country, there are many parks that you may visit. From zoos to eco-parks, aquarium, amusements parks, etc. During summer, nothing can ever turn down the idea of having a stroll to zoos and aquariums. Aquarium parks these days are very much visited by many because of the atmosphere in the place. The sound of the water and other animals are soothing to the ear and carry a relieving factor. 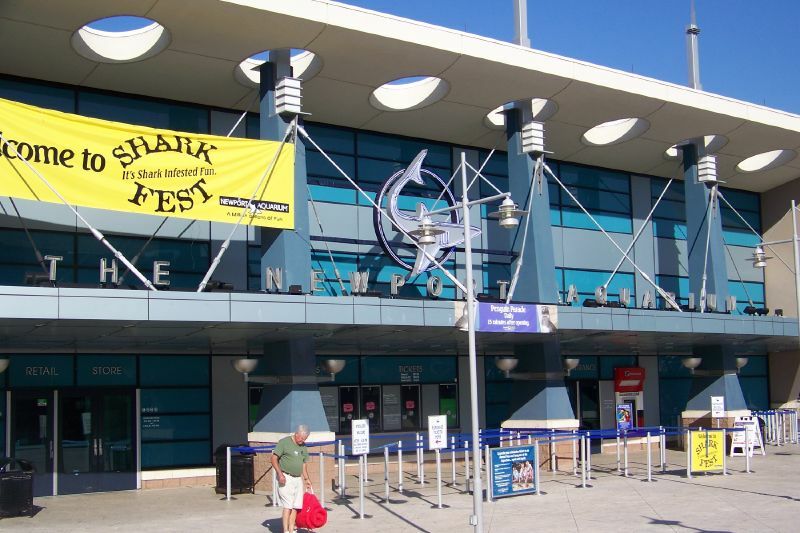 There are many aquarium parks in the United States and one of those is the Newport Aquarium. The Newport Aquarium is located at Newport Kentucky. 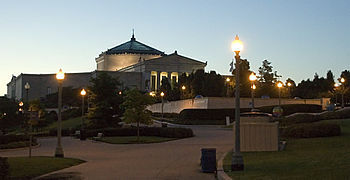 It was dubbed as the number one aquarium in the Midwest. The place is a two-minute ride from downtown Cincinnati and Ohio. It has a sister aquarium that is located in New Jersey: The Adventure Aquarium. Adventure Aquarium is exactly situated on the Camden Waterfront, Camden, New Jersey. The Newport Aquarium is a member of an association known as The American Zoo and Aquarium Association. Newport Aquarium has housed more than 7,000 marine creatures that can be found around the world. This facility holds water on a million-gallon scale. Sweet Pea is the most popular sea creature in this place. Named after the favorite Popeye show, Sweet Pea is shark rays. It is one of the few shark rays around the world. The design of the facility is amazingly conceptualized to fit everyone’s taste. They have created underwater tunnels where one may pass as he overlooks a shark. There are also see-thru floors. There you are just a couple of inches away from the water. You can also see exhibits in any corner of the facility. The underwater water tunnels on this facility are one of the few in the whole world that are considered seamless. The tunnel runs about 200 feet across the facility. There is also man-made rain forest in the park, coral reefs, shark feeding grounds, etc. The Newport Aquarium is open daily from 10 a.m. to 6 p.m. During the summer they have extended visiting hours that is from 9 a.m. to 7 p.m. on Sundays until Friday and on the Saturdays 9 a.m. to 9 p.m. Ticket costs $17.95 for adults, $15.95 for seniors and $10.95 for children. There are restrictions and rules that are implemented inside the aquarium. All you have to do is follow it to avoid being reprimanded or subjected to fine. Tennessee Aquarium is a landmark found in Chattanooga Tennessee. Well, this is an amazing spot visited by people who are aquariums enthusiast enjoying the exploration of marine species. • Tennessee Aquarium has incorporated artistic exhibits to encourage people of any age. It gives appeal to everyone and ignites curiosity to explore the entire place. • Freshwater exhibits are awesome. Newly added saltwater exhibits are spectacular displaying all creatures living in salt water including all sharks’ varieties. • RiverWalk is a concrete walkway located on the top of the Tennessee River shore waters without railings giving an ultimate walking experience to visitors. • Tennessee Aquarium is adjacent to the Bijou Movie Theater and IMAX Theater giving another entertainment option to visitors and travelers. • Tennessee Aquarium has knowledgeable and excellent staff ready to answer all the questions given by travelers and visitors. The staff includes children and adults in their learning activities which they enjoy doing. The staff professionalism is observed giving the same warm welcome to visitors even during the last minute before closing time. • Tennessee Aquarium is a very neat place to visit however the booth for buying tickets are not covered and the Aquarium gets easily crowded so sometimes time is wasted waiting to see the exhibits. • Tennessee Aquarium’s one of the visitor’s favorite is the seahorse's exhibit. You need to have at least two hours to spend watching all the exhibits including divers cleaning the aquarium windows and swimming together with sharks and stingrays. • Tennessee Aquariums have natural habitats for different animals with two living forests seen under glass that the children and adults love to enjoy watching. • Tennessee Aquariums has incorporated many varieties of interesting fishes, which are fun to observe. • Tennessee Aquarium is an amazing place to visit having beautiful views, good presentations, nice buildings, and knowledgeable employees however the only disaster experienced by visitors are their bathrooms. • Tennessee Aquariums has incorporated an amazing architectural aesthetics having a beautiful landscaping of underwater sea environment, river, lake, and pond natural habitats, which they rank as one of the best aquariums in the world to visit. Having a real-life marine adventure is an interesting activity that anybody could experience. Tennessee Aquarium surely offers the best scenery and adventure. Do you need to free yourself from stress? Are your days filled with nerve-racking events that you wish the world would stop for just a moment? Studies show that one way to relieve stress is communing with nature. You can take a slow walk and breathe fresh air. You can have a swim. Perhaps, gazing at creatures such as the animals can put off worries. If you want to be out and commune with nature, the Dallas World Aquarium might be perfect for you. Dallas World Aquarium is a recreational center located in Dallas, Texas. It is believed to be one of the many first-rate tourist spots in the area. Let the swimming and gliding fishes and other sea creatures from around the world soothe your eyes. In Dallas World Aquarium you will be able to see different species of fish and other underwater creatures. If mere looking at them does not satisfy you, you will have the chance to take a stride inside a tunnel. It gives you a feeling that you are in the underwater world. It is not only the underwater world that you may experience. If you enjoy the flora and the fauna, then the rainforest section may be a good place to visit. Here you can find the incomparable beauty of diverse trees and flowers. Additionally, you will be able to hear and see how rainforest animals react to every moving situation. Indeed, there is a rainforest area in Dallas World Aquarium. Dallas World Aquarium also reveals the exquisiteness of South Africa through its exhibits. The display area is a lagoon-like. It showcases the different South African biomes and living things dwelling on said biomes. It is not your traditional exhibit hence you will have a full appreciation of the area. Have you ever heard of Yucatan’s Gulf coast? If you have not, then this is your chance to gain knowledge of the area when you taste the life of “Mundo Maya.” Dallas World Aquarium gives you the chance to experience Mexican nature by the immersion exhibit they have set-up for visitors. The above-mentioned are places where you can divert your attention from the hurriedness of life. More to this, it may teach you how to value other living things aside from your own. Being able to understand and appreciate life outside your comfort zone will help you realize and be thankful for what you have. "San Diego Sea World" Photo: Wikimedia Commons. If you're planning a SeaWorld San Diego vacation, you should preorder your tickets online so that you won't have to stand in line all day. The tickets are actually available at a discount price on the internet, so you'll be saving money anyway. All of the shows, aquariums, rides, and exhibits are included with park admission. You really can't go wrong with a SeaWorld vacation in sunny California. Whether you simply want to view a few of the exotic sea animals or want to go all out with a guided tour and interaction program, you'll have an unforgettable experience. In this SeaWorld San Diego review, let's go over a few of the must-see attractions and shows. Climb aboard the rafts of Riptide Rescue and get an idea of what it's like to go on a sea turtle rescue mission. Just like a real rescue, you'll be in for a wild ride. If you decide to go on this ride, you must either secure all of your loose items or place them in a locker. You don't want to end up losing something in the middle of the wild ride! Why go back to your hotel early when you can party the night away with Shamu? This show has a lot of flashes - and splash - and tourists enjoy every second of it. The show is a combination of killer whale acrobatics with breathtaking special effects. The killer whales perform impressive tricks with rock music playing in the background. Even if the park is located in sunny San Diego, there is still a spot dedicated to penguins. The temperature is kept at really cold levels so that the penguins can be comfortable. There are nearly 300 penguins of all sizes for you to see. The population includes different types of penguins including regal emperors, adelies, macaronis, and gentoos. Here's your chance to touch and feed bottlenose dolphins. Observe their movements from just a few feet away. Dolphin Point is also the home of sea otters. There is a dolphin interaction program available, although it costs additional money. It can be a very educational experience for children and adults alike. These are just a few examples of the many exciting things to experience at SeaWorld San Diego. If you plan on staying for more than one day, you can choose from 14 partner hotels. A Silver Pass is ideal if you want to make multiple visits for the rest of the season. Hopefully, this SeaWorld San Diego review gave you some ideas of what you will want to do during your visit. There are plenty of other attractions, shows, and exhibits to check out. You can also find a variety of restaurants and shops. Always look online for SeaWorld coupons before you go. This aquarium is located in Brooklyn. The aquarium contains more than eight thousand aquamarine animals. The more attractive part of this aquarium is its design, which allows the visitors to watch the animals swim in the large aquarium. The purpose aquarium is to educate the visitors about different aquamarine species and also to promote the message of preserving the ocean wildlife. The first New York Aquarium was built in Battery Park, which was shut down in 1941on the suggestion of Robert Moses that the construction of a tunnel from Lower Manhattan to Brooklyn will affect the Castle Clinton's foundation. The animals were then moved to the Bronx Zee. The new aquarium was opened after the Second World War on June 6, 1957, in Coney Island. The aquarium is located over an area of 14 acres. There are more than 350 species of animals kept in the aquarium. It also has a famous research center named, Osborn Laboratories of Marine Sciences (OLMS). New York Aquarium has many different types of ocean life for the exhibition. At the entrance of the Aquarium, a map is given for the convenience of visitors to locate different sections easily. Visitors can see the staff while feeding the marine animals, such as walruses, sharks, and penguins. You can find feeding times posted in various location of the aquarium. Demonstration exhibition will allow the visitors to touch the skin of the shark. Special care is taken to improve the living conditions of the marine animals in the aquarium. This will enrich the visitors' visit to the aquarium. Aquarium has an Aquatheater as well. This Aquatheater was open in 1995. You can watch the dolphin performance in this theater. Dolphin will perform different tricks to amuse the visitors. You just need to show the admission ticket and they will allow you to enter the theater. This is feature is popular among the children. In Explore the Shore, the visitors will have a hand on experience with the tidal waves. The touch pool is the place where you explore the shore. The timing of touch pool from Monday to Thursday is 11a.m. to 3 p.m. on Saturday and Sunday the timing for touch pool is 10 a.m. to 4 p.m. On Friday and other holidays it remains closed. Sea Cliffs are the place where you can watch the walruses, sea otter and fur seals. Watching these creatures in Sea Cliff is a great fun. The staff also tells you some facts about these creatures. These are the name given to two penguins in the aquarium. These penguins are the most attractive feature of New York Aquarium. 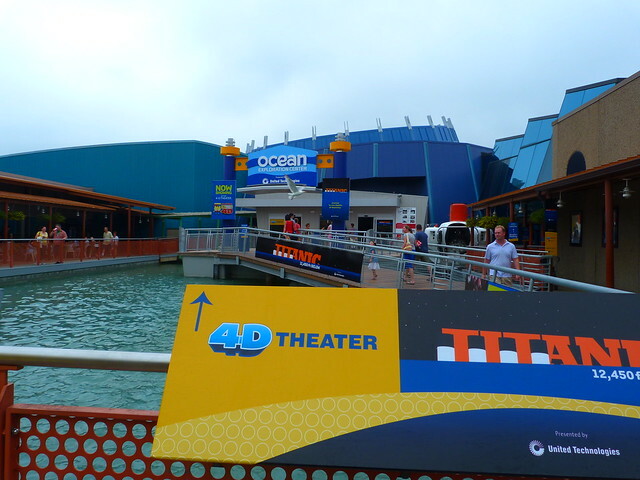 The aquarium offers a submarine ride called "Deep Sea 3-D Simulator Ride". You need to buy a separate ticket to participate in the ride. This ride will take you to the bottom of the ocean. The best feature of the aquarium is that it has a variety of marine animals. Whales, sharks, penguins, sea otter, fur seals, walruses, jellyfish, Beluga whales and many different types of fish. You might also want to learn about New York Aquarium and New York Botanical Gardens. The ocean center has a huge aquarium that has water filtered into it from the Bay. This aquarium is as real as it gets. This tank has a tunnel that you can actually walk through. This makes for great pictures. You can get a picture of yourself standing face to face with a sand shark. While walking through the tunnel, you will see sharks and rays, and tons of different types of fish. The best thing about the tunnel is that you can see the underside of the creatures as they swim above you. The tanks also boast a coral and tropical fish display that will amaze anyone. The coral itself is breathtaking. In fact, this coral collection is the largest of any aquarium in the world. Another amazing display inside the aquarium is the giant cylinder columns of jellyfish. They are several feet wide, and you can watch the jellyfish float above you. The sight of these creatures is both terrifying and mesmerizing at the same time. Next, you move along through the aquarium to the sea turtles tanks. These sea turtles have been injured at some point in their lives and their stay at the aquarium is only a temporary one. They will be reintroduced back into their natural habitat once they have recovered. This is my favorite exhibit in the aquarium. If you happen to visit during feeding time you can actually feed the turtles. It's great to watch these huge docile creatures chomping happily on their lunch. The ocean center also has an interactive display of whales, where visitors can learn about these giant mammals. Whale watching is a big hobby in Hawaii. There are several whale watching tours available. Turtle Bay resort located on the north shore of Oahu boasts that during the winter you can actually see whales from your balcony. 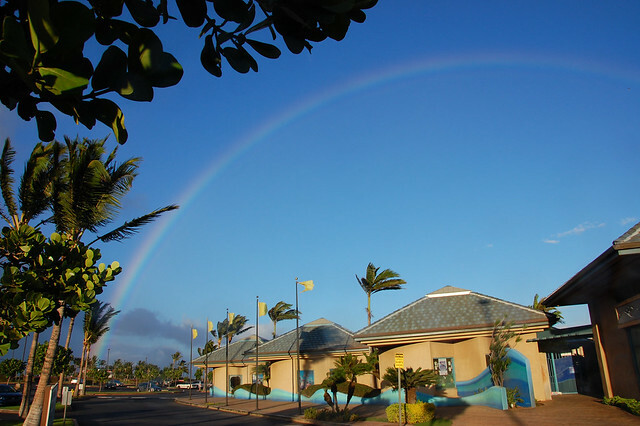 The Maui Ocean Center is a perfect place for families to visit. They offer a wide variety of exhibits for children that are both informative and exciting. There is also a touch pond, where children can pick up some of the creatures and actually handle them. They can see sea stars and sea urchins, as well as skates and rays. Be careful when stroking rays, however, you should always stroke them from head to tail in order to avoid being stung by there tails. No kid friendly aquarium would be complete without food. The ocean center offers a café where you can grab lunch. They have light fare such as salads and sandwiches, and of course, ice cream. Also, don't miss the great picture taking opportunities that the center has to offer. Along the backside of the aquarium, there are some spectacular views of Ma'alaea Bay, and there is a dolphin statue located in the very front of the center that also makes for a great souvenir photo.